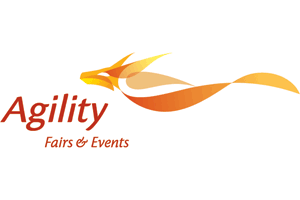 Agility Fairs & Events is the logistics market leader in the MICE industry. With our global network of over 550 offices in more than 120 countries, Agility Fairs & Events has been appointed the official freight forwarder for numerous world class exhibitions and events. Agility is an active member to numerous associations such as UFI, IELA, AFECA, SACEOS, SLA. As a testimony of our quality service and support, Agility, an award winning organization, has received ISO 9001:2015 certification, ISO 14001:2015, OHSAS 18001:2007 and bizSAFE Star (Level Star) certification. Agility Fairs & Events offers a convenient “single point of contact” service tailored to our clients. We specialise in moving equipment and exhibits, and provide logistics solutions to companies covering a broad spectrum of industries. Whether it is trade fairs, sports, visual & fine arts or performing events, we could tailor to the clients' specific logistics needs. Our experienced and trained staff understands and anticipate customers' special needs and would strive to ensure that any exhibition or event is logistically smooth and hassle free.